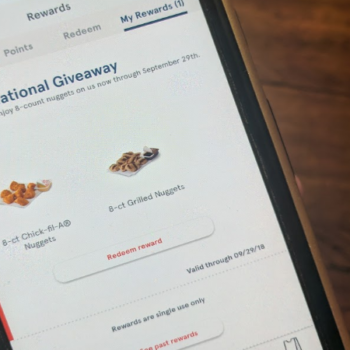 Free 8-ct. Nuggets from Chick-fil-A Mobile App! Don’t miss out on this one. 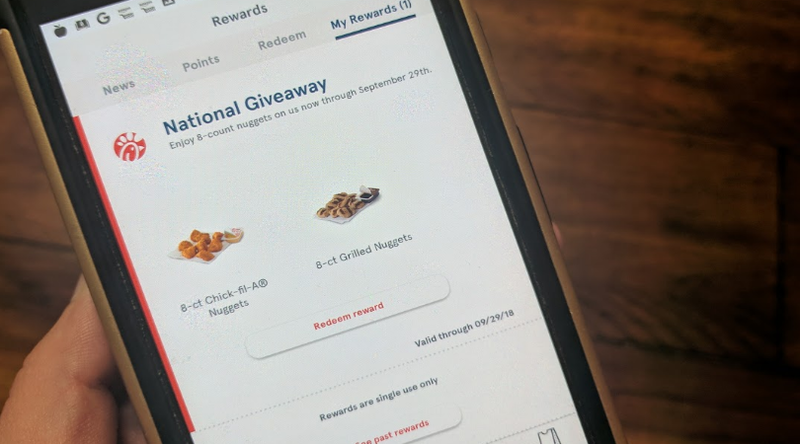 Through September 29th, Chick-fil-A is offering a FREE 8-ct nuggets when you download (or open) their app and sign in or create a Chick-fil-A One account! This offer will be found under the “My Rewards” tab and you can get the original or grilled nuggets! Score!